Social Work research seeks to ensure current practice in areas such as counselling, advocacy, preventing violence against women and child protection translates to effective interventions. Social Workers at the Women’s work in diverse and unique roles such as sexual assault, pregnancy termination, Maternity and Oncology. To date there has been no uniform data collection to describe the work, including complexity, diversity and depth of presenting needs. 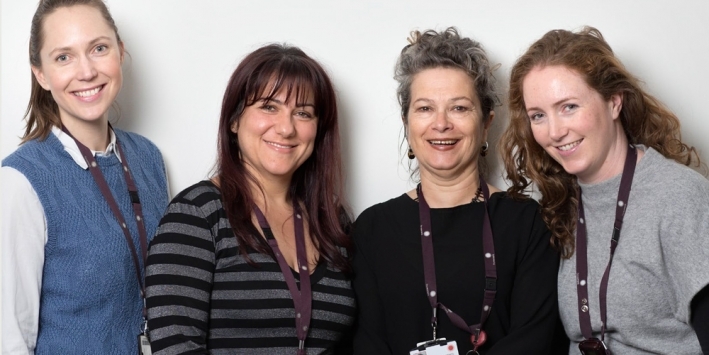 A major data collection was undertaken by all Social Workers at the Women’s as well as sixteen other health and mental health services across Melbourne and Victoria. The data capturing referrals, interventions and issues impacting on health is currently being analysed. The research is a collaboration between the University of Melbourne and Social Work departments at sixteen health and mental health services. This project surveyed social workers across multiple services at the Women’s regarding their experience of family violence training. The survey identified strengths and weaknesses in how family violence training is currently provided for staff. It also gauged social workers perspectives and understanding of their scope of practice, specialist training needs and confidence in working in this complex area within the health sector. Preliminary analysis suggests Social Worker’s self-perception of family violence competence changes over time, and is not necessarily contingent on years of experience. Recognising that pregnancy and birth for young women is characterised by risk factors that cannot be addressed by medical care alone, Yogabond Project utilises the practice of trauma-informed yoga during the prenatal stage and explores whether this strengthens the bio psychosocial wellbeing of young women. This pilot study demonstrated pre-natal yoga, used as an innovative method for maternal health care with young women who have experienced trauma, can decrease psychological distress and increase skills to assist with pain and labour. Implement strategies to address the stress parents experience when their baby is transferred from a Level 3 to Level 2 Neonatal Nursery, and evaluate the effectiveness of these strategies.